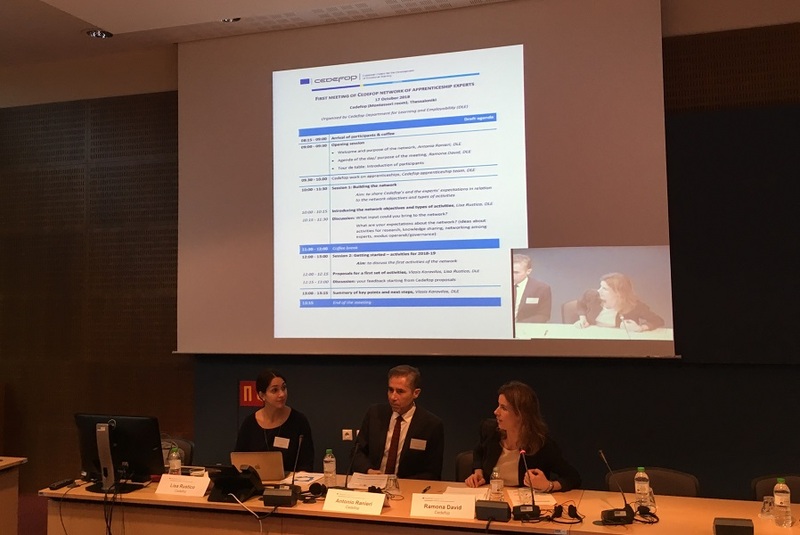 Experts from several EU Member States discussed with Cedefop the objectives of the new community and its activities for 2019, which include the update of Cedefop’s European database of apprenticeship schemes and knowledge-generation activities regarding apprenticeships at European level through expert working groups. The community is a long-term project of Cedefop’s Department for Learning and Employability, which aims at strengthening and expanding the knowledge on apprenticeships in Europe. The experts’ independent and voluntary long-term collaboration is expected to improve the understanding of apprenticeship schemes and ultimately support their quality implementation in Europe. Access to expert stable contact points in the countries is expected to provide insights into national developments and the national relevance of EU initiatives, by also covering gaps in information retrieval from the countries in specific areas. In this sense, the community is conceived as a knowledge hub and reference point for apprenticeships in Europe. So far, 28 experts confirmed their membership. Most had participated in the first meeting in Thessaloniki on 17 October and will continue working in 2019 on the commonly agreed activities. The community’s annual meeting is foreseen for the last quarter of 2019.